Bed Bugs are found in mattress seams, sheets, furniture, behind baseboards, & electrical outlet plates. Often found in hotels where they move from room to room and into visitor’s luggage. They are 4-5 mm long, about the size of an apple seed. Bed bugs carry diseases and feed exclusively on blood. These bugs can live up to 300 days and a single bug can lay up to 5 eggs per day. 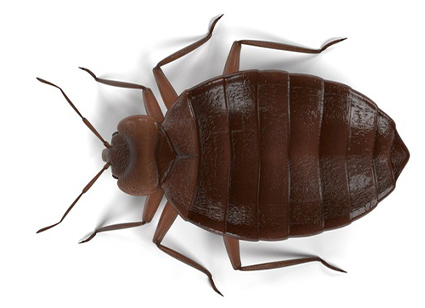 No two bed bug infestations are the same a thorough professional inspection is required.